JB Security Solutions is a professional company widely experienced in the installation and maintenance of CCTV systems. We can fully design a system to your specific requirements, tailor made to suit your application and budget. JB Security Solutions prides itself in using only the highest quality equipment to ensure reliability and customer satisfaction. CCTV has been successful in playing a part in convicting criminals for theft and vandalism, and provides crucial evidence in a court of law, which can assist with asset recovery therefore proving cost affective. We are also experienced in covert systems where cameras can be hidden in a variety of everyday fittings i.e. light fittings, clocks etc. virtually invisible to the naked eye. 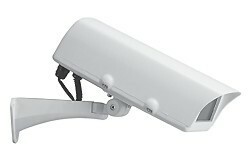 From a single camera to a fully networked system JB Security Solutions can provide the service. ANPR Automatic Number Plate Recognition can be used on busy motorways or for traffic control in car parks etc. Its outputs can trigger barriers to open if a valid number plate is read or deny access if number plate is black listed. Interested in our CCTV Systems?